Blue Sky Outdoor is a full service Authorized dealer of the full line of OW Lee products. We pride ourselves on being experts in all of the OW Lee products, and we look forward to putting that knowledge to work for you. 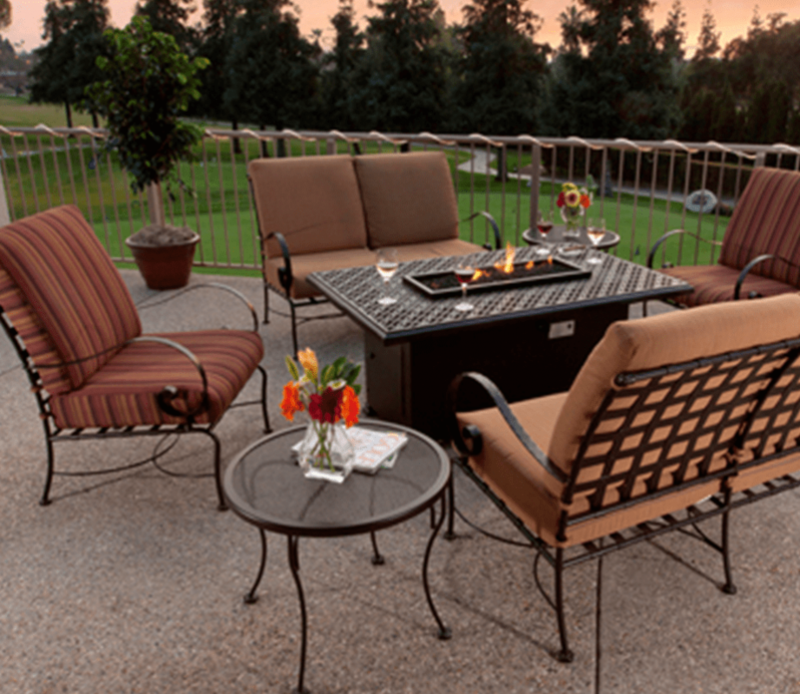 We specialize in working with Landscape Architects and Designers on Commercial projects, but we equally enjoy working with individuals to help select the perfect Furnishings and/or Fire Pit for your backyard. Why are there no prices for OW Lee products on our website? Truly an American family tradition, OW Lee Company was established in Pasadena, California, by Oddist W. Lee in 1947 as a wrought-iron gate manufacturer for the luxurious estates of Southern California. Due to increased requests from local patio furniture store owners, Oddist began to design and sell high-end patio furniture directly. In 1954, he incorporated under the name OW Lee Company. OW Lee furniture is available only from authorized dealers throughout North America and Europe. Through three generations, OW Lee has maintained its commitment to quality, and it will continue to produce the finest handcrafted casual furniture available. OW Lee, an American family tradition since 1947.